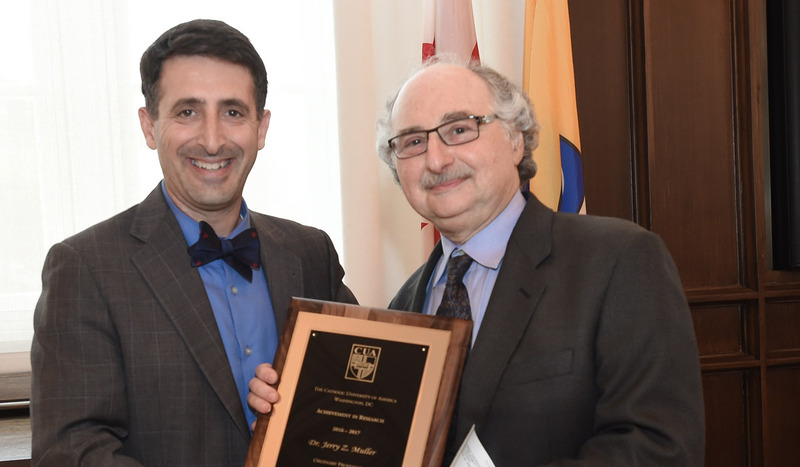 World-Class Research Meets Small-College Feel in Washington, D.C. The History Department combines the rigor of a research university with the human scale of a liberal arts college. It is dedicated to understanding the human experience in time and place, and to careful training in identifying and assessing information, executing research projects, and analytical writing and oral presentation. 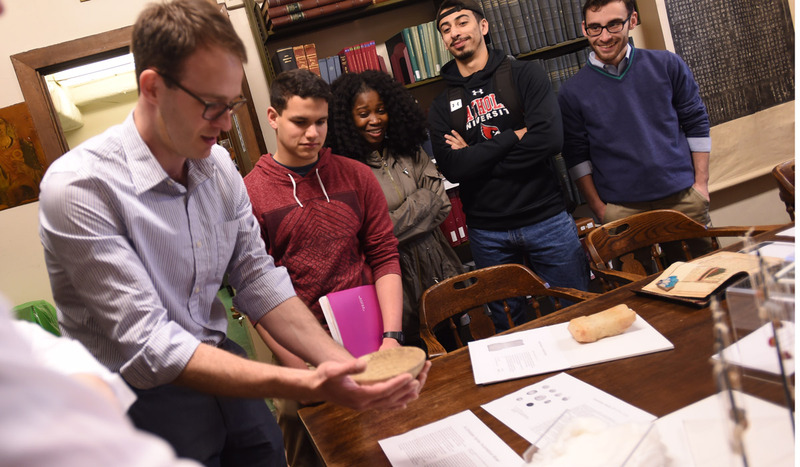 History students learn in small, interactive classes with faculty committed to combining research and teaching. Studying with accomplished scholars who bring current developments in their fields to life in the classroom, students choose from a wide range of classes and seminars, increasingly incorporating digital tools for learning and studying. 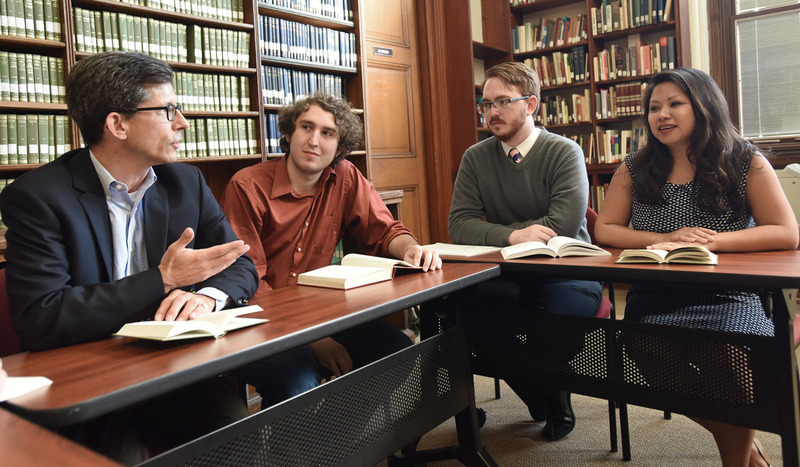 History faculty and students participate in a variety of interdisciplinary programs across campus, including the University Honors Program, Catholic University's flagship study-abroad program in Rome, Medieval and Byzantine Studies, Early Christian Studies, and other programs focused on Europe, Ireland, Latin American and Latino studies, and the Islamic world. The department’s majors go on to a broad spectrum of careers, including business and marketing, media and information technology, journalism, law, government, teaching, and museums and public history. Our graduate programs are built upon particular faculty strengths, including medieval, modern European, U.S., and Latin American history. We foster a friendly atmosphere and close interaction between students and faculty. Study history where history is made. The nation's capital is overflowing with historical treasures, including the National Museum of American History, Library of Congress, the Folger Shakespeare Library, and the National Archives.